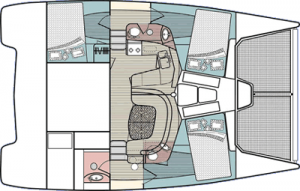 The 3800 boasts the best in size and comfort of any catamaran in its size range. Three well-appointed cabins, spacious cockpit and sailing performance combine to provide supreme ease of handling and extreme comfort. Its signature after deck provides easy access to the water. This Moorings 3800 is one of only a handful on the West Coast, and might be the only for charter. 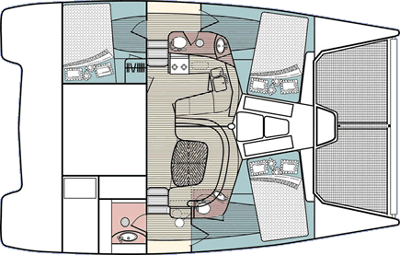 It’s a fine representation of the Leopard/Moorings product for those looking for a test drive. *Federal regulations require that payment for captain’s services be negotiated with, and paid directly to, the captain, in addition to the base price for the boat, listed here.